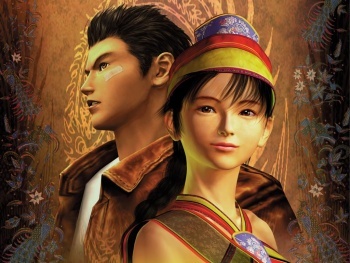 Is Shenmue Coming to XBLA? Leaked images hint that one of the Dreamcast's most loved games might just be coming to Xbox Live Arcade. Sega's 1999 adventure game Shenmue is something of a cult classic, and leaked images hint that it might be making its way to Xbox Live Arcade. The image in question, which you can see here, shows something called "Project Berkeley II", which seems to have a picture of Shenmue protagonist Ryo Hakuzi's head as an icon. Can this be considered proof? Not by a long shot, after all, it's not even clear if it's actually genuine, but is it outside the realms of possibility? Not at all. Sega has recently reorganized to better handle digital distribution, and it has plenty of classic titles to draw on, so there's certainly a chance we'll see the game on Live Arcade. This one is getting filed under rumor until there's a more than just an obscured image to go on, but it's still fun to think about getting a chance to play one of the most loved games of the last generation without having to bust out the retro consoles.